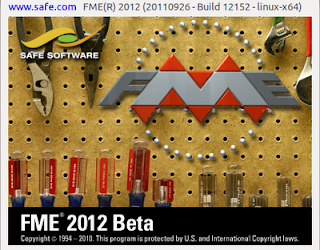 Safe Software recently announced their plans to deprecate support for 32-bit Linux from FME 2012 release. At the same time I was looking to try out something new. This post is a result of that thought. Being a Linux user I decided to try out the 64-bit beta version of FME 2012 on my Ubuntu 11.10 which again is in beta stage! The download was in the form of .run file of size 330.5 MB. Installation procedure was simple. Do you wish to associate format filetypes with FME? Will you be performing Nad83/Nad27 Datum shifts in Canada? Would you like to install the FME Software Development Kit? FME Workbench which provides ultimate control over data transformation is not available for Linux. The FME Quick Translator is present which can be effectively used for quick format-to-format translations. This application contains utilities to set up simple translation parameters, run custom mapping files, create batch scripts, control temporary file formation etc. 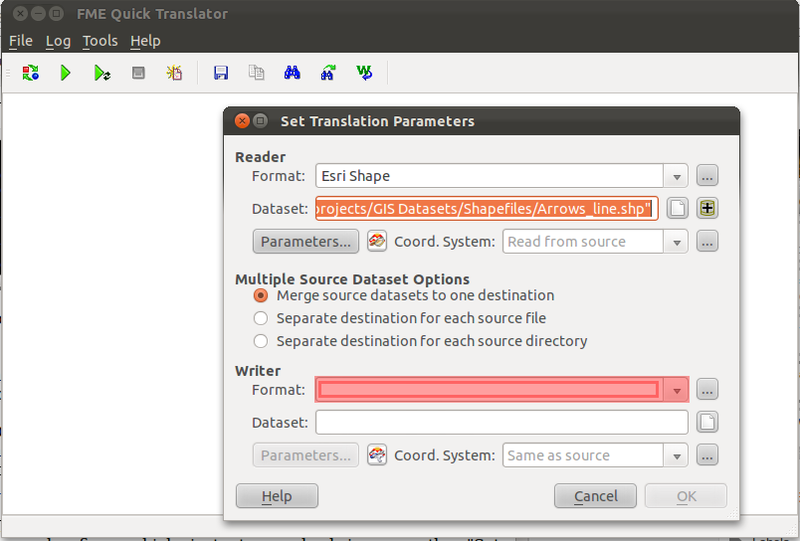 I tried FME Quick Translator on my Ubuntu and it worked as expected. 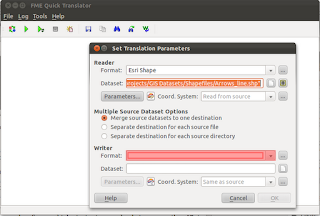 The drag and drop feature works fine, which instantaneously brings up the "Set Translation Parameters" Dialog. One can use the writer gallery to browse and select appropriate format from a large collection of supported formats. A point to note is that not all FME formats are supported on 64-bit platforms. In such situations Safe recommends running 32-bit version of the application. On a conclusive note, I felt happy as FME 2012 worked perfectly on Ubuntu without any tweaks. I say so since I had great difficulty in installing few commercial applications which throw up dependency issues right from start! I wish FME Workbench will also find its way to Linux one day. 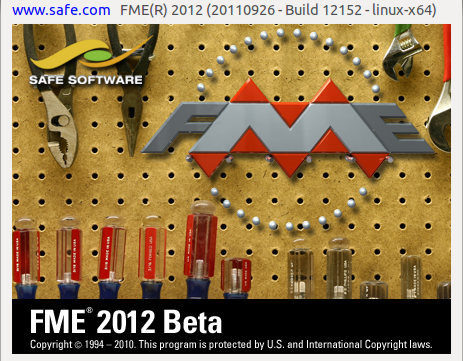 Also FME 2012 may be more polished when the final launch is made.